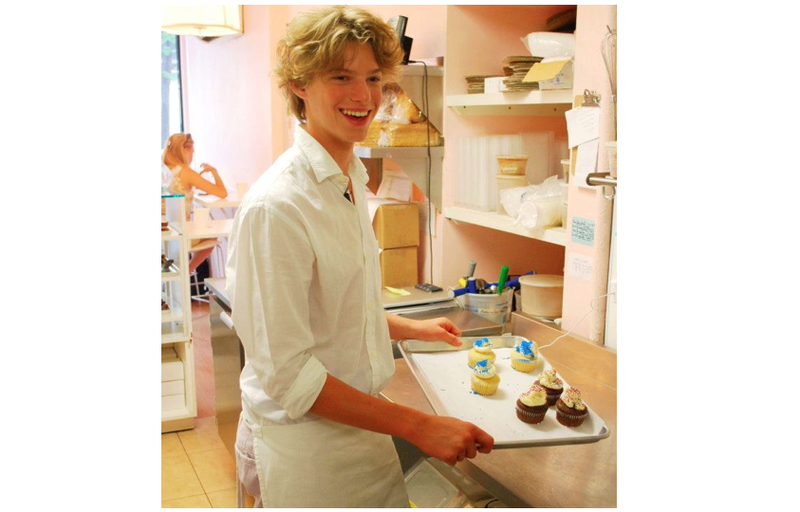 NEW KDHamptons Diary: Teen Foodie Dylan Richards Serves Up The Scoop On His Eponymous TV Show~ Dylan's Lunchbox! 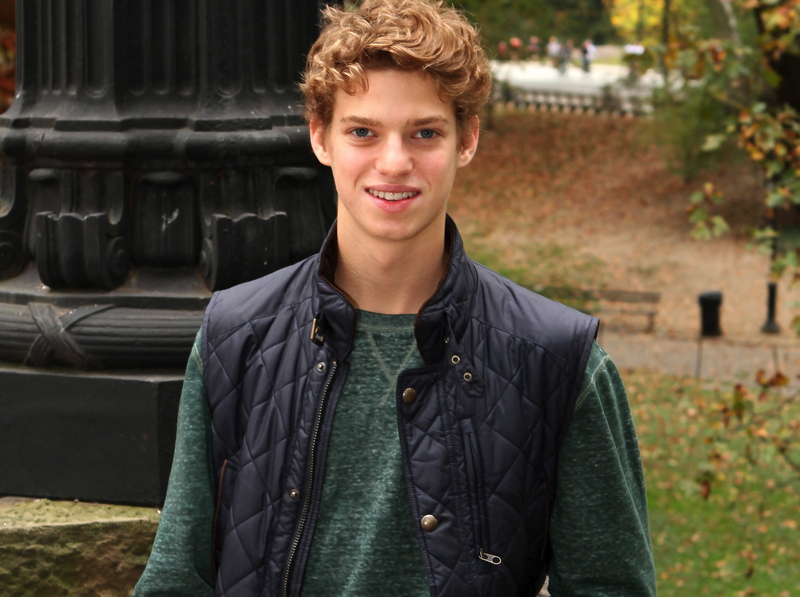 Southamptonite Dylan Richards [above], a junior in high school in New York City, is the host of Dylan’s Lunchbox, a local TV show that showcases restaurants and cafes in NYC that serve healthy, locally and organically grown, humanely raised food. He has appeared on NYC Media, Plum TV, Taxi TV, with a second season of Dylan’s Lunchbox that is currently airing now. Dylan’s work revolves around the central questions of why something healthy should be used, rather than the cheap alternative and why people should think about where their food comes from. Playing an active role in the spread of good food awareness, Dylan is also a food critic on Lunch NYC, a three-time Emmy nominated television show that reviews and critiques venues throughout NYC, the Hamptons and is dedicated to the support of local farms and organic growing practices. As if that’s not enough on this teen’s plate, in order to spread his message of healthy eating, Dylan also contributes every week to FanLaLa.com and has appeared on the radio show Edible Escapes and TeenSpot.com! Dylan Richards: I’ve been coming to the Hamptons my entire life. Every now and then you just need a break from the chaotic, all-consuming life of New York City. The Hamptons is the place where I can recharge and spend time with my friends, family, and our three dogs. KDHamptons: Please describe your show, Dylan’s Lunchbox, for our readers? Dylan: Dylan’s Lunchbox is my eponymous television show that takes viewers on a tour of New York City’s tastiest healthy restaurants and gives tips on how to keep and maintain a fit and well-balanced lifestyle. It is broadcast on New York City’s public broadcasting channel, NYC Life on Channel 25, as well as the web! KDHamptons: What inspired you to get involved with this project? Dylan: It all started when I first moved to New York City and I didn’t like the lunch my school served. It was really unhealthy, loaded with preservatives, and didn’t have a lot of fruits and vegetables. But instead of eating the food, I would either starve myself until dinner, or sneak out during lunch and go to Whole Foods where I could pick up a dependably healthy well-balanced meal. I knew that I wasn’t the only kid who was being served unhealthy food, so I decided to take a stand. KDHamptons: What are your favorite Hamptons restaurants, got a favorite dish you get every time? 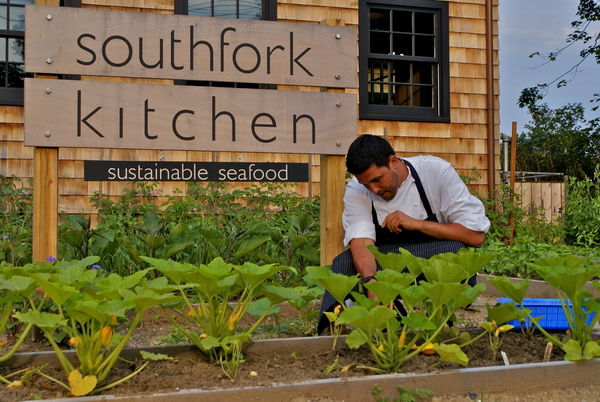 Dylan: Southfork Kitchen is one of my favorites in the Hamptons. Chef Joe Isidori has a unique take on Clam Chowder that uses local vegetables and sustainable Lake Montauk clams. He even makes his own sea salt! My other favorite is Estia’s Little Kitchen in Sag Harbor. I usually start out with their Mini Shrimp Tacos and then get either the Paella made with local fish, or the Hanger Steak Azteca. It’s amazing! And for dessert, what’s better than a cup of Banana-Mango soft serve from Chloe’s Soft Serve Fruit Co. in Water Mill? 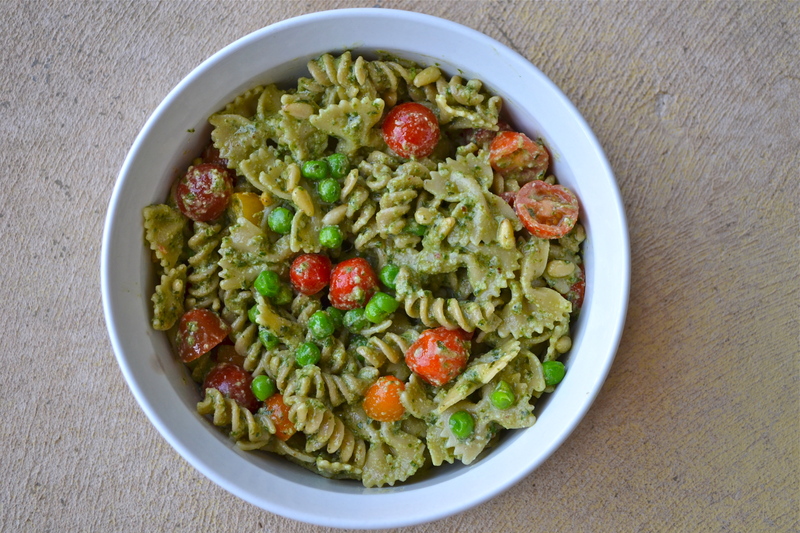 It’s a delicious healthy alternative that’s also dairy-free, fat-free, cholesterol-free, gluten-free, and organic! Dylan: My perfect day in Southampton would start with an early morning breakfast at home or a bike ride into town for a chocolate croissant from Tate’s Bakery. Then I’d head to the beach for some body surfing. Then, back home for a big lunch on the patio made with delicious organic ingredients from The Green Thumb farm stand. I’d spend the afternoon with my family in the yard: a little football, tennis, lifting, or swimming. After that it’s off to the baseball field at Southampton High School for some batting practice and fielding. I might hit the track for some sprinting drills. After the work out, I head home and eat dinner with my family, and finish off the day eating gelato from Sant Ambroeus by a beach bonfire. 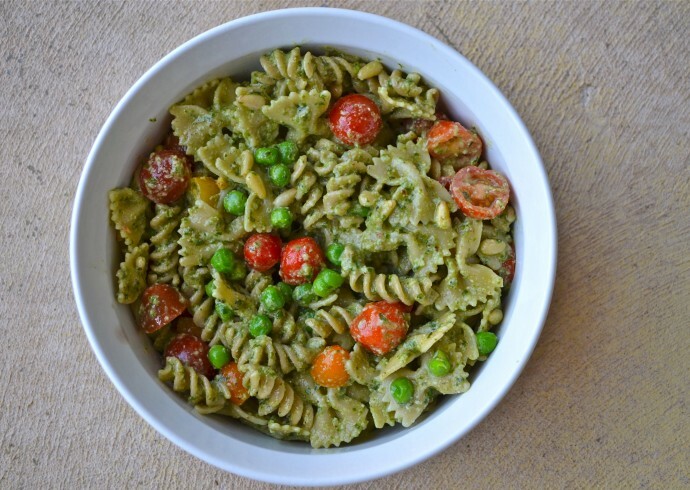 KDHamptons: Do you like to cook at home? What’s your best dish? Dylan: I love to cook at home. 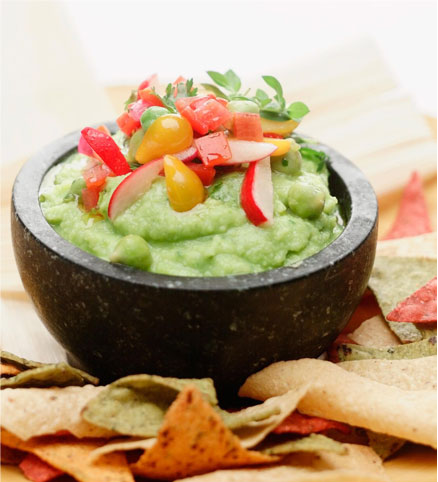 My favorite right now is organic guacamole with organic roasted chicken. They’re both so easy to make and go together so well! KDHamptons: Who has been your favorite chef to interview and why? Dylan: Chef John Marsh of Greensquare Tavern was one of my favorite interviewees. He took me on a tour of the Green Market at Union Square where he and his daughter meticulously selected the local, organic ingredients he uses in his restaurant. He’s a down-to-earth guy that truly loves what he does, and you can taste that love in his food. KDHamptons: What has been the most exciting moment of your career thus far? Dylan: I was also invited to the White House [below] to meet the extremely talented White House Assistant Chef and Senior Policy Advisor for Healthy Foods Initiative, Sam Kass. He works on First Lady Michelle Obama’s “Let’s Move”anti-obesity campaign and was easily one of my favorite people to interview. My mom and I toured the amazing White House organic garden and the kitchen where he works. I even got to meet 1600 Pennsylvania’s top dog, Bo, who chased us all through the corridors. With both of Sam and I being healthy food advocates, we naturally had a lot to talk about. Dylan with mom Avis at the White House! Dylan: A Caesar Salad, a great bowl of pasta, and Veal Milanese, would be my desert island meal. And whether it be a chocolate shake or just pure dark chocolate bars, no meal is complete without chocolate. My favorite chocolatier is La Maison Du Chocolat right by Rockefeller Center. KDHamptons: Do you have any desire to become a chef or open a restaurant one day? Dylan: Right now I’m taking things one day at a time. I’m very focused on my academics, studying for my ACTs, and playing baseball. I plan to study business or engineering in college and hope to explore different options. But even after high school, I will always be an advocate for healthy eating.